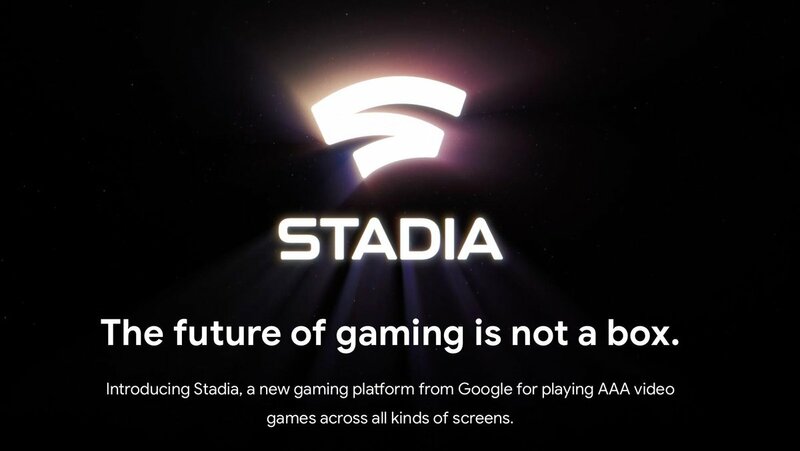 Google has announced their entry into the video game market with the reveal of Stadia at GDC 2019 today. Stadia is a new game streaming platform, promising access to major games on any type of screen - a TV, laptop, desktop, tablet or mobile phone. The project goal is to make those games available in resolutions up to 4K and 60 frames per second with HDR and surround sound. When players use Stadia, they'll be able to access their games at all times, and on virtually any screen. And developers will have access to a hardware stack combining server class GPU, CPU, memory and storage, beyond what the current traditional consoles offer. What sets the system apart is how it will work with other Google services. For example, if you watch a creator playing Assassin's Creed Odyssey on YouTube, users will be able to simply click the “play now” button. Seconds later, Google says you'll be running around ancient Greece in your own game with no downloads, no updates, no patches and no installs. Google will also offer the Stadia controller. The controller will connect to Google's data center through Wi-Fi for the best possible gaming performance. The controller also includes a button for instant capture, saving and sharing gameplay in up to 4k resolution. And it comes equipped with a Google Assistant button and built-in microphone. Stadia will be launching later this year in select countries including the U.S., Canada, U.K. and much of Europe. There are currently 0 members and 168 guests on the website right now.